Although parents will warn children against going too close to fireworks, many do not share the same apprehension about sparklers. Sparklers are thin metal rods that have been dipped in a special, flammable pyrotechnic substance and allowed to dry. When lit, a sparkler will throw off, as the name implies, sparks of twinkling light until the sparkler is extinguished. Sparklers may seem safe for little hands, but like other fireworks, sparklers can be dangerous. A sparkler can reach 3,662 F (2,000 C) when lit. That is 20 times the boiling point of water, a level of heat that is enough to melt steel. In fact, three sparklers burning together can generate the same amount of heat as a blow torch. The Consumer Product Safety Commission says roughly 240 people visit the emergency room every day in the month of July with fireworks-related injuries. Common sense should prevail whenever anyone is handling sparklers. If children are allowed to hold sparklers, it should only be under close adult supervision. Other safety tips can help ensure events where sparklers are being used remain injury-free. · Sparklers should be stored in cool, dry places until they are used. · Leather gloves can protect hands while sparklers are being lit and held. · Do not light and hold more than one sparkler at a time. · Sparklers can stay hot for a while after they have been extinguished. Put the hot end down into a bucket of water when finished. · Sparklers may not be legal where you live. 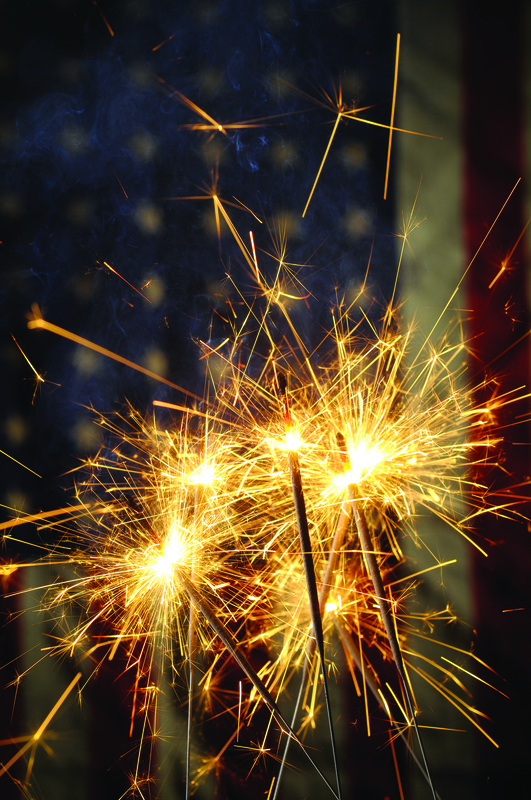 Know the laws before purchasing sparklers or other fireworks. · Children under the age of five should never be given sparklers to hold, nor should adults hold a lit sparkler while holding a baby. Glow sticks are safer alternatives for young kids. · Hold sparklers at arms’ length to avoid burns. 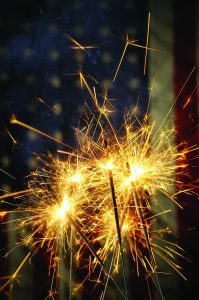 · Do not bring sparklers to public events, as sparklers amid large crowds can pose a safety risk. · Do not wave or run with lit sparklers. 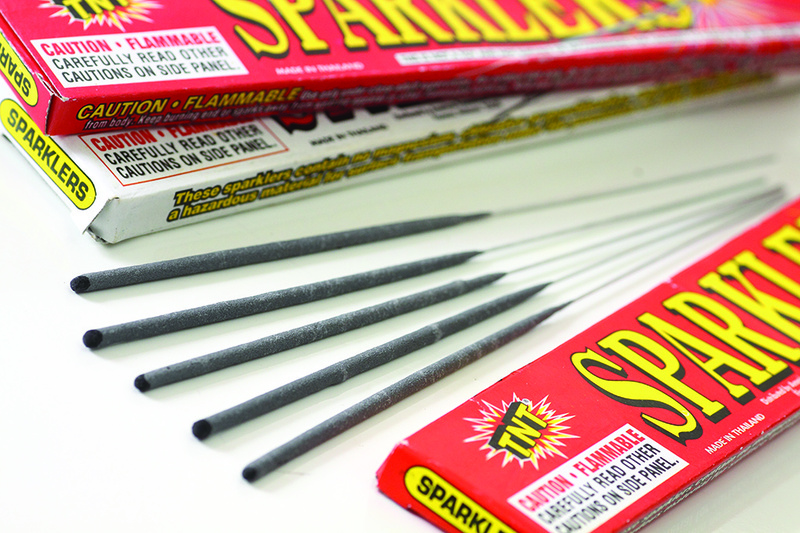 Sparklers may seem like safe alternatives to more traditional fireworks. But it’s important to exercise caution with sparklers, especially when young children are nearby.